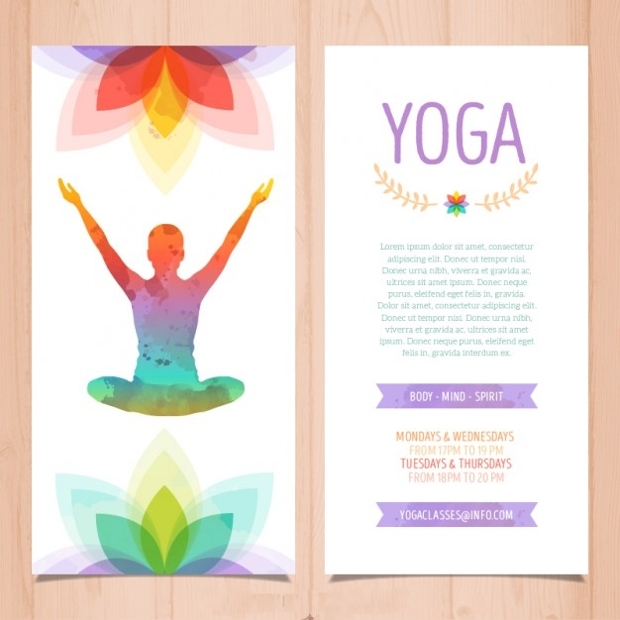 If you teach yoga classes then you know that attracting new students to your business is a necessity. Planning promotion techniques will help you attract more people to your business. 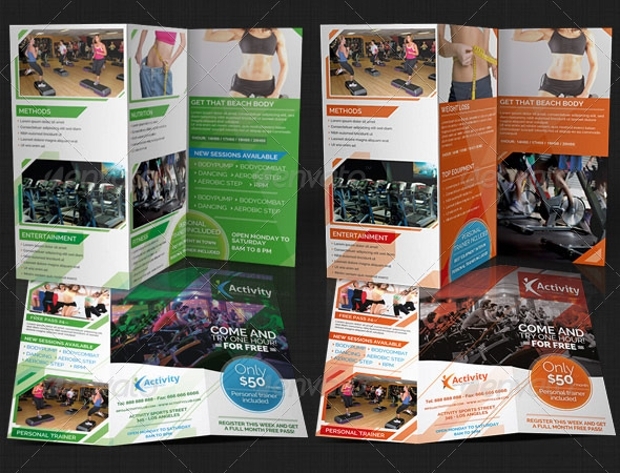 Fitness brochures are a way to get your target market’s attention as well as to bring in potential customers. 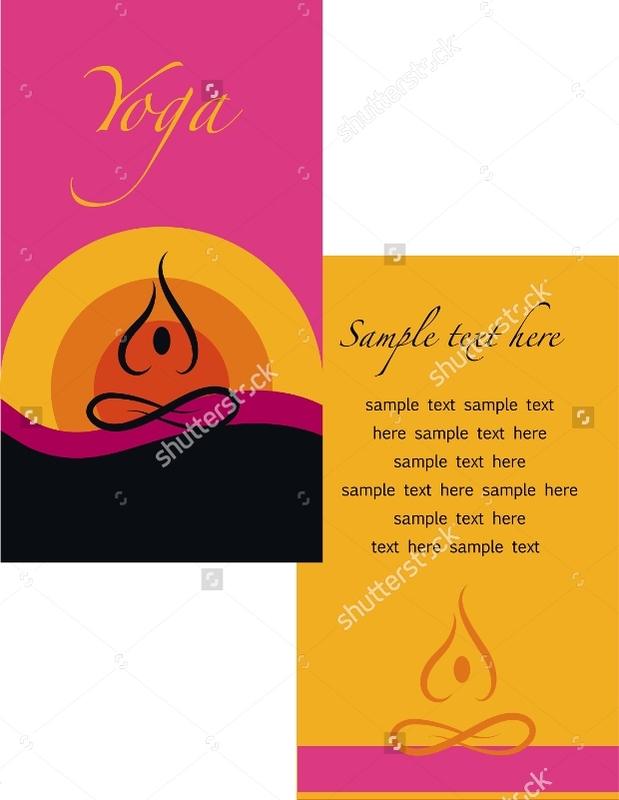 Here we have a collection of yoga brochures for you to choose. 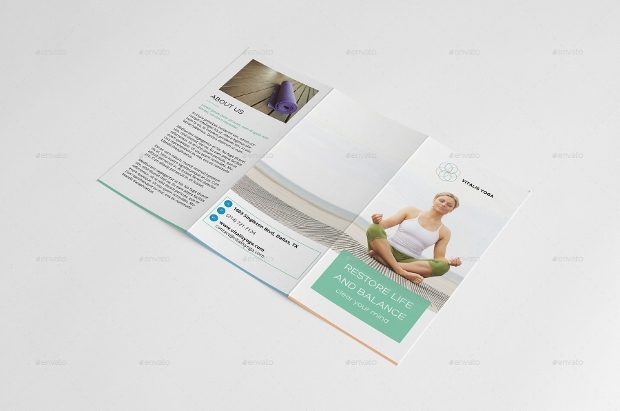 This is a professional modern yoga brochure. You can find this one in a PSD file format that is layered completely editable and can be customized to fit your needs. 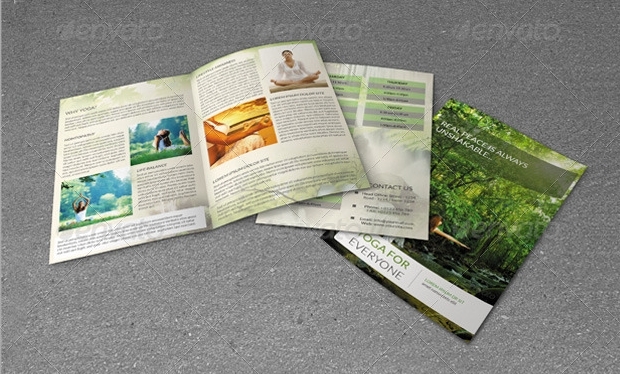 Use a brochure that focuses on nature like this green one. It is available in a high quality PSD file that you can customize and edit according to your preferences. 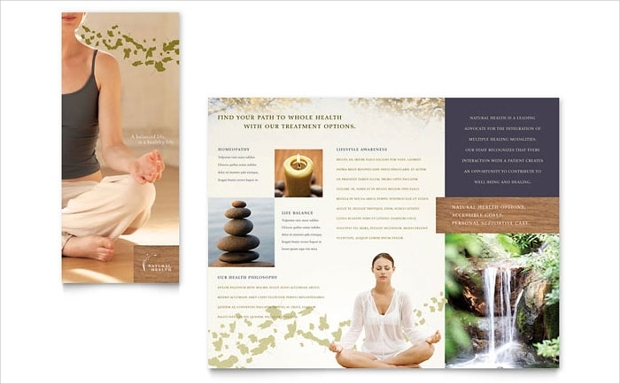 For beauty and health care brochures you can choose this stunning one. The high quality design can be found in a fully editable Indesign INDD file format. 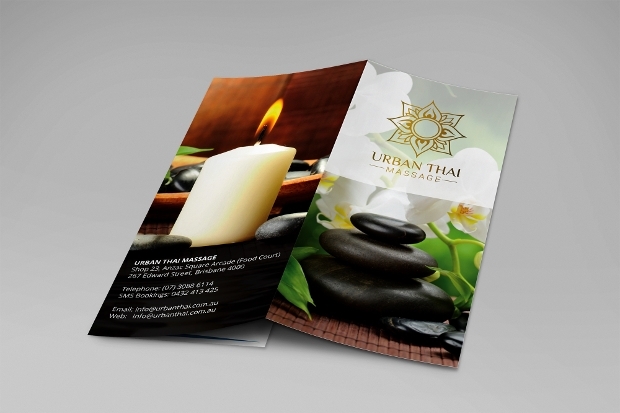 You can organize your business’s marketing with this high quality design brochure. It comes in EPS and INDD file formats that you can edit. The package does not include pictures. 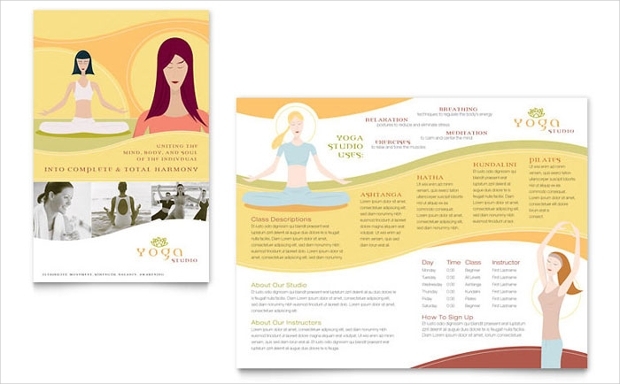 Try to pass on the serene and relaxing atmosphere of your yoga center with this brochure. 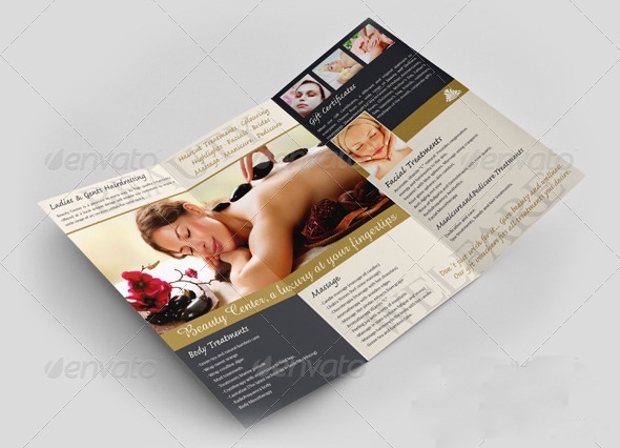 It is available in PSD format file that is editable and uses Lato fonts. 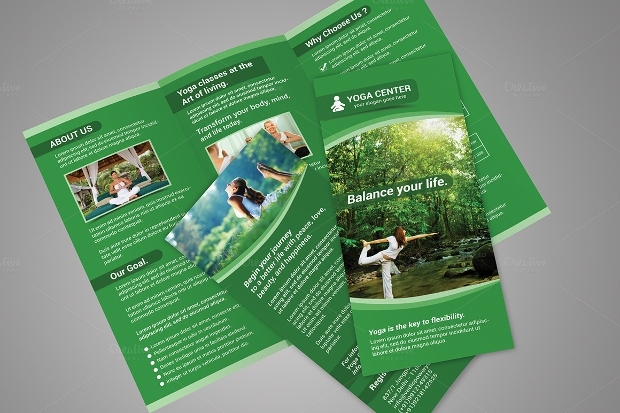 This bi fold brochure design is suitable for yoga studios. The smart design with the pleasant look can be found in all file formats and can be fully edited. 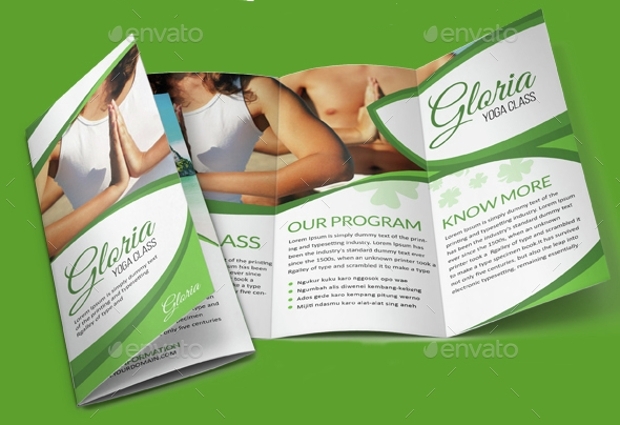 This fitness brochure comes in a package of bi fold and tri fold layouts as well as in 3 different colors. It has high quality resolution and fully editable. 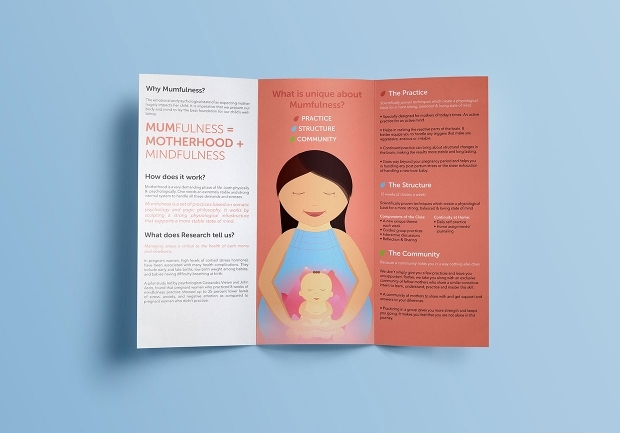 Use simple and modern layouts to emphasize your work. 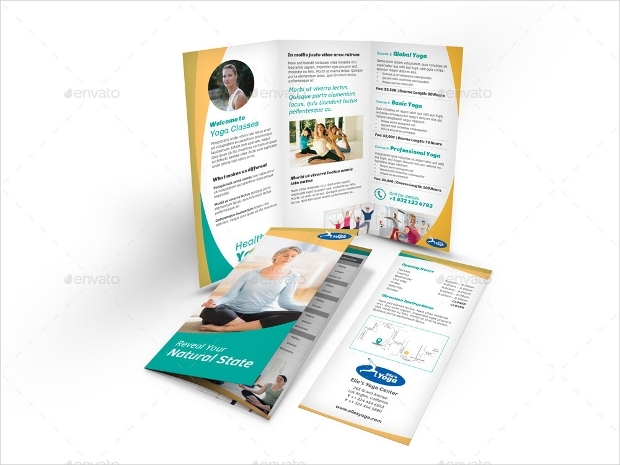 This brochure is available in a package of EPS, PSD and AI format files that you can easily resize and edit. 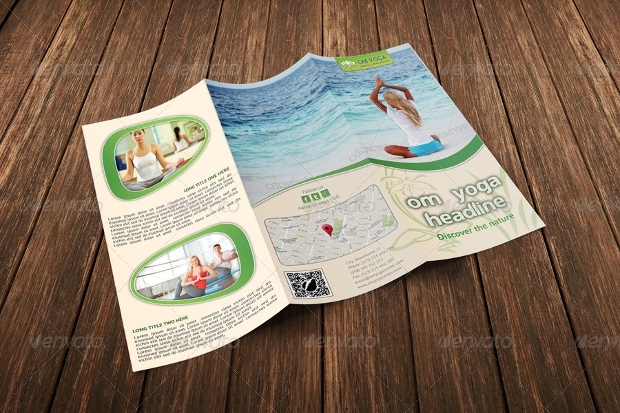 This is a simple yoga brochure design that you can edit and customize freely before printing,. 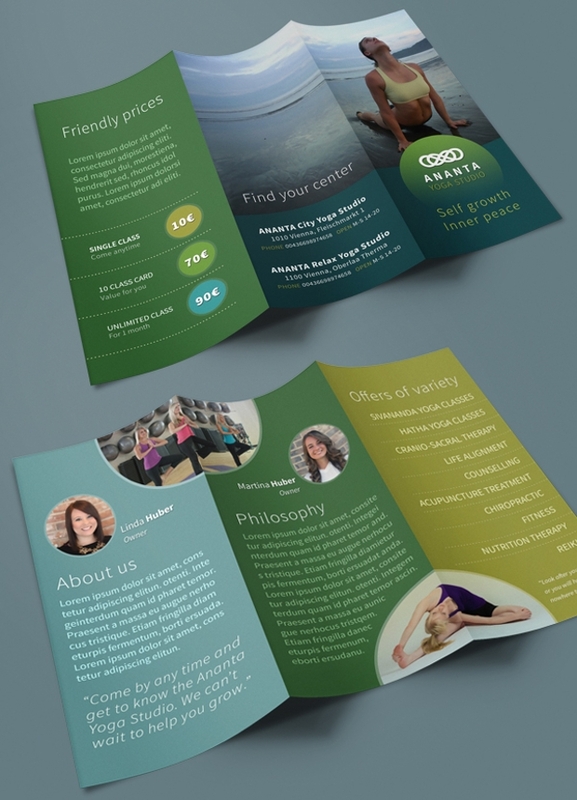 The tri fold design can be found in a fully layered PSD format file. 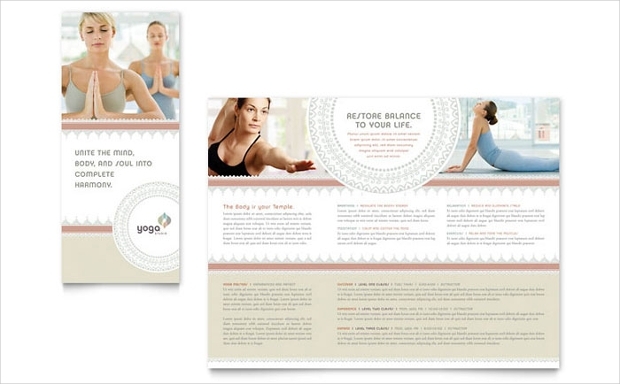 This professional brochure can be used for yoga businesses too. You will find it in an all format file and its layered design will help you customize it to taste. You can promote your business and your work with printable and digital promotions. 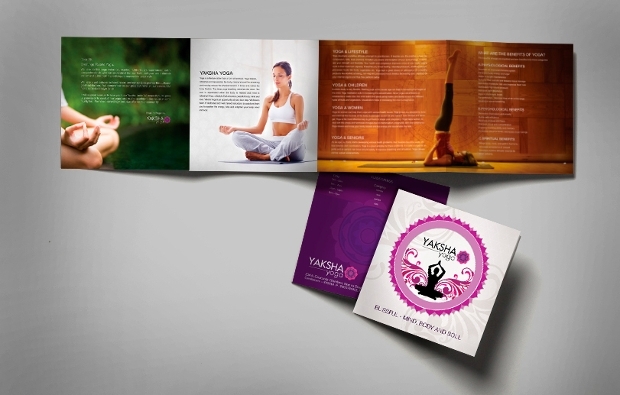 You can use these for yoga, health care and beauty salons as well as fitness with gym brochures. 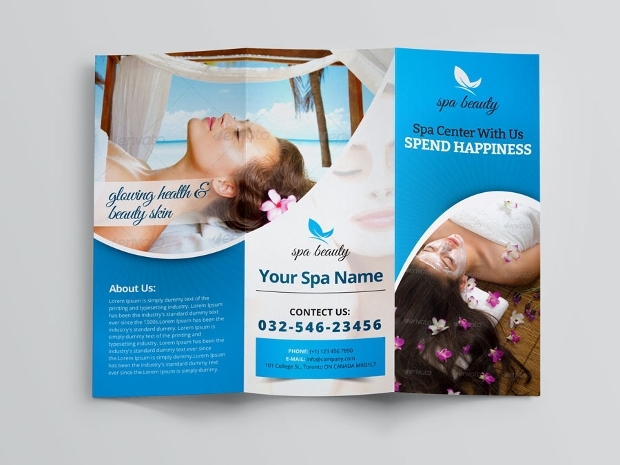 Choose a brochure that reflects your company’s profile and customize it properly in order to connect with potential customers.